Have you ever found yourself arguing over superficial (or sometimes not so) points online with someone completely biased, void of logic, and downright annoying? Well, I have got something to tell you. 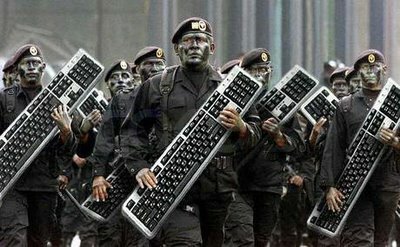 Tip your hats to the Internet and to these Keyboard Warriors (or Flame Warriors, as they’re called), because life would be an intolerable bore sans them. What they, in fact, have inadvertently done is opened yet another door to the true nature of man. We all wear masks. Whether we like it or not, we’re all wearing multiple masks that constantly hide our true nature, trying to act sophisticated when our illusion of intellect is a mere bluff. We try to act “hip” when we are merely following the crowd. We claim to be nonconformists, but only conform to other people’s views–people who also claim to be nonconformists, that is. The list goes on, but what it all boils down to is insecurity. We are ultimately insecure about our position in life, our social and economic statuses, and other aspects of life. Thus, we unknowingly put ourselves in a pathetic, downwards spiral. This insecurity has been somewhat well hidden (perhaps to some extent), until innovative creation of the Internet. Then it all went downhill from there. Is there privacy? No. Just ask Facebook founder Mark Zuckerberg what he thinks of privacy. We like to think that we’ve got privacy, but the truth is, everything that is done on this Web of ours is saved and archived for future reference. But it’s this illusion of privacy that has given us this falsified feeling of invincibility and stealth, thus creating a whole new breed of warriors: the Keyboard Warriors. 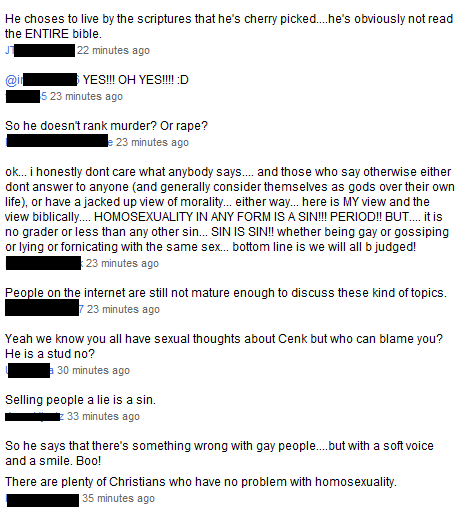 Not one of these people have actually attempted to give a rational, thought-out response. Eventually some people see that the arguments have gone out of hand and try to show the online entities that their actions are void of rationality. What happens is the adverse effect; they add more fuel to the fire. What ensues is a volley of name calling, condemning, threats with Bible/Qur’an/Talmud/[insert holy book here] scripture, and downright nastiness online. There’s nothing better than provoking anger for the sheer fun of it, knowing that nothing will happen to you in return except a feeling of sick, twisted satisfaction, knowing that you have successfully ruined someone’s day. This entry was posted on Tuesday, February 8th, 2011 at 5:39 pm	and tagged with Bible, facebook, Flame Warriors, Gay, Google, Homosexuality, Internet, Logic, mark zuckerberg, online forums, online media, Philosophy, Quran, Religion, Social Networking, Talmud, Technology, thoughts, trolling, trolls, Urban Dictionary, YouTube and posted in Curiosity, Internet, Life, People, The Media. You can follow any responses to this entry through the RSS 2.0 feed.